Glenn McGrath is a household name in Australia - a cricketing hero, with a 14-year professional cricketing career, he is the most successful Test and International Test fast bowler in the world. NSW Australian of the Year in 2008, Glenn's name has become synonymous with not just cricket, but with providing support for Australian women diagnosed with breast cancer and their families through the provision of McGrath Breast Care Nurses. He is widely recognised as an outspoken advocate for improved services for breast cancer and greater education for younger women around breast awareness. Since the passing of his beloved wife Jane in June 2008, Glenn has accepted the position of Chairman of the Board and is active in many of the McGrath Foundation's activities to ensure Jane's vision is fulfilled. A father of two, Glenn is also focused on raising his and Jane's children, James and Holly, whom he describes as an eternal blessing. Glenn McGrath made his Test debut for Australia against New Zealand in Perth, on November 12, 1993. In 2004, he emerged as the first Australian fast bowler to play in 100 Tests. In the first innings of the International Cricket Council (ICC) Super Series Test match held in 2005, Glenn McGrath surpassed the record of Courtney Walsh to become the greatest wicket-taker among fast bowlers in Test cricket. He completed his career as the most successful fast-bowler and the third highest wicket taker in Test cricket. In the Frank Worrell series against the West Indies, his scintillating hat-trick dismissed Sherwin Campbell, Brian Lara marking his 300th wicket, followed by the West-Indian captain, Jimmy Adams. Interestingly in an interview prior to the match, he mentioned the names of Sherwin Campbell and Brian Lara as targets for his 299th and 300th wickets respectively. Mike Atherton of England has been dismissed 19 times by Glenn McGrath, becoming the first batsman to be dismissed the most number of times by a single bowler in cricket history. On 23 December, 2006, Glenn McGrath announced his retirement from Test matches. He has played in 124 Test matches taking 563 wickets, his best bowling figures in a match being 10 for 27, at an excellent economy rate of 2.49. Glenn McGrath made his One Day International (ODI) debut on December 9, 1993 in Melbourne against South Africa. In the 2007 Cricket World Cup, Glenn McGrath became the leading wicket taker in the World Cup history after picking 26 wickets. His splendid performance in the World Cup campaign won him the Player of the Tournament award. He retired from international cricket following his brilliant display in the successful 2007 Cricket World Cup. He has played in 250 ODIs picking 381 wickets, his career best being 7 for 15, at an economy of 3.88. Glenn McGrath made his Twenty20 International (T20I) debut for Australia against New Zealand on February 17, 2005 in Auckland. He represented the team in two T20I matches during his career, 3 for 31 is his best in a T20I match. Glenn McGrath made his First-class debut during the 1992-93 season, when he played for Worcestershire in the 2000 English County Championship and a few matches for Middlesex in 2004. He has played in 189 First-class matches taking 835 wickets and has made 303 List A appearances picking 458 wickets. In the inaugural season of the Indian Premier League (IPL) 2008, Glenn McGrath was selected to be a part of the Delhi Dare Devils team. He was signed for $350,000. Glenn McGrath bowled 54 overs picking 12 wickets in the 2008 IPL and won the Man of the Match award for his brilliant performance against Bangalore Royal Challengers on April 30. Glenn McGrath displayed his best bowling against Bangalore Royal Challengers earning 4 wickets for 29 runs. 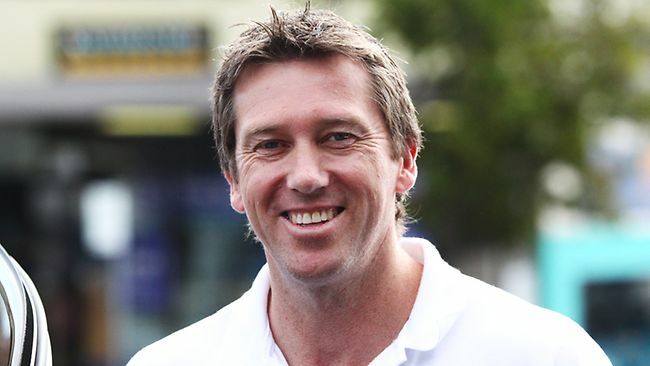 Glenn McGrath has won several laurels, namely the prestigious Allan Border Medal 2000, Test Player of the Year -2000, One-Day International Player of the Year-2001, Wisden Cricketer of the Year 1998, Wisden Australia Cricketer of the Year during the season 1999 and 2005-06. He also holds the distinction of being the Member of the Order of Australia, Jan 2008. Glenn holds the seventh highest tenth wicket partnerships, and two tenth wicket partnerships. Apart from cricket, Glenn McGrath has established the McGrath Foundation to fund more breast care nurses in rural Australia and educate woman regarding breast cancer. He has authored the book The Glenn McGrath Barbecue Cookbook: Barbecue with the Master.